The Finnish Construction Trade Union has expressed its opposition to the government’s plans to impose additional activity requirements on unemployed job seekers. Kyösti Suokas, the vice chairperson of the Finnish Construction Union, has expressed his strong opposition to the proposal to supplement the much-criticised activation model for unemployment security. 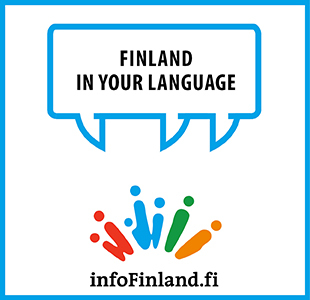 The Finnish government revealed earlier this month it is intent on supplementing the activation model by, for example, obliging unemployed job seekers to apply for a minimum of four jobs a month under the threat of a temporary suspension of unemployment benefits. “You are putting the blame on people who have lost their jobs and devising laws that will exclude a growing number of the unemployed from unemployment security coverage and consign them into financial hardship,” he argued in a blog on the website of the Finnish Construction Union on Tuesday. Suokas estimated that the proposed requirements are outright unreasonable and place people in an unequal position. “It is shocking how unequally stage two of the activation model treats people. Mandatory job applications and reports are not a problem for people with sufficient education and experience from pushing paper around,” he slammed. The Finnish Construction Union, he declared, is determined to help its members to meet the requirements laid out in the supplementary activation measures, if the government moves forward with the measures. “If this absurdness really becomes a law in Finland, the Construction Union will help its members to draft the applications. Our objective is that not a single union member faces a needless suspension of benefits because of stage two of the activation model, which is hostile to employees,” said Suokas. Minister of Employment Jari Lindström (BR) stated last week that the government has submitted its proposal to key labour market organisations for review. The Central Organisation of Finnish Trade Unions (SAK) and the Finnish Confederation of Salaried Employees (STTK) have already shot down the proposal on grounds that it places excess emphasis on sanctions. The Confederation of Unions for Professional and Managerial Staff in Finland (Akava) is more supportive of the proposal. The proposal will be circulated for comments after Midsummer.